Stella Jean’s Spring/Summer 2015 collection pays tribute to her Haitian heritage. 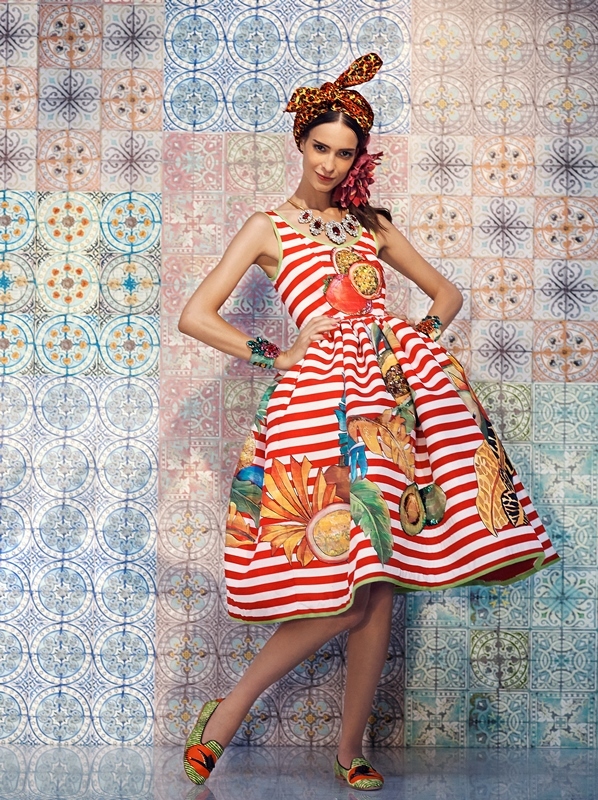 Several motifs of the Stella Jean Spring/Summer 2014 Collection were inspired by tropical fruits. 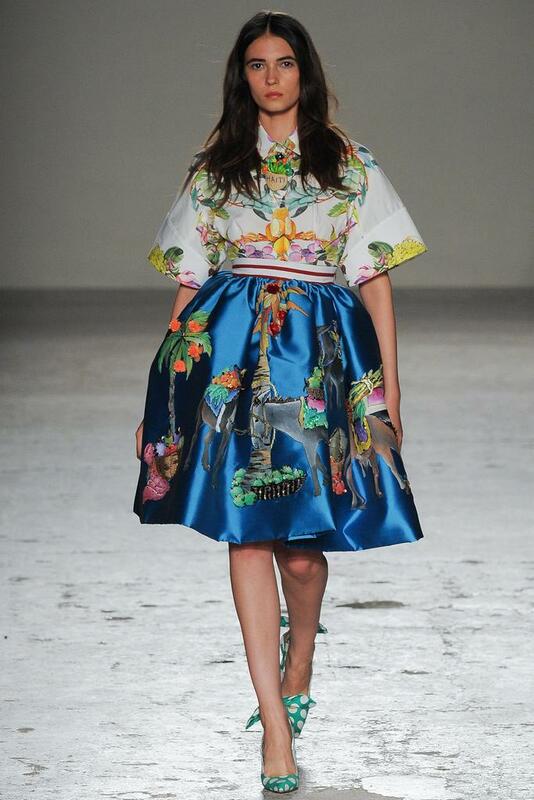 Other tropical fruits-influenced collections : Clover Canyon Resort 2014 (this collection, which paid homage to Cuba, featured prints which depicted tropical fruits), Stephen Burrows Spring/Summer 2004 (the vibrant color palette of this show was partly based on tropical fruits). To pay homage to West Africa, avocados are referenced on the prints, made in collaboration with the International Trade Center by women who live in villages in Burkina Faso, of the Stella Jean Spring/Summer 2014 Show.